The spiritual core of our disease is self-centeredness. In dealing with others, the only motive our addiction taught us was selfishness — we wanted what we wanted when we wanted it. Obsession with self was rooted in the very ground of our lives. In recovery, how do we root self-obsession out? We reverse the effects of our disease by applying a few very simple spiritual principles. To counteract the self-centeredness of our addiction, we learn to apply the principle of goodwill. Rather than seeking to serve only ourselves, we begin serving others. Rather than thinking only about what we can get out of a situation, we learn to think first of the welfare of others. When faced with a moral choice, we learn to stop, recall spiritual principles, and act appropriately. As we begin “doing the right thing for the right reason;” we can detect a change in ourselves. Where once we were ruled by self-will, now we are guided by our goodwill for others. 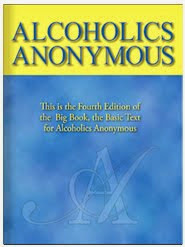 The chronic self-centeredness of addiction is losing its hold on us. 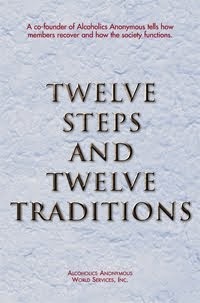 We are learning to “practice these principles in all our affairs”; we are living in our recovery, not in our disease. Just for today: Wherever I am, whatever I do, I will seek to serve others, not just myself. When faced with a dilemma, I will try to do the right thing for the right reason.